Since Agents of S.H.I.E.L.D. began, Brett Dalton has been a series regular on the show in some shape or form. 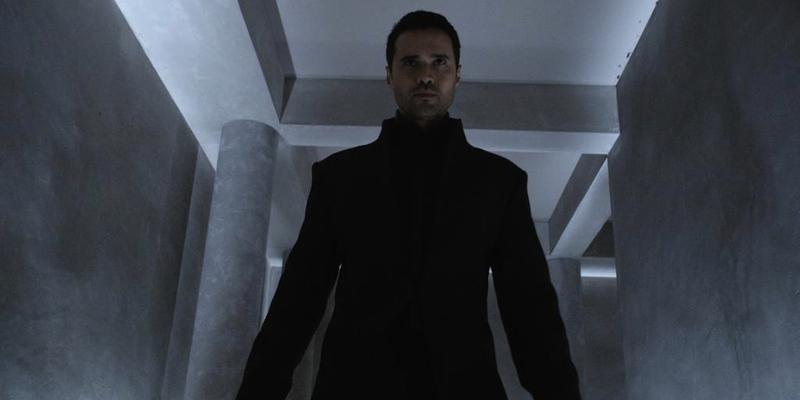 Introduced as Grant Ward, the lone wolf agent forced to work with a team, Dalton portrayed the character's swift transformation to Hydra agent in the wake of the series' tie-in episode with Captain America: The Winter Soldier during the first season. Then, another major character change occurred midway through season 3 when Phil Coulson (Clark Gregg) killed Ward while on the alien planet Maveth. However, as the final moments of the midseason 3 finale revealed, Ward - or something that looked like Ward - returned to Earth. Leading up to the season 3 finale of Agents of S.H.I.E.L.D., the show made sure to establish the original Inhuman known as Hive, who had taken over Ward's body, as a major villain - one that didn't make it out of the finale alive. Now, Dalton has addressed his character's fate and whether there's a possibility the actor could return in a different form. "I don't know! That's always a possibility. That's all I'm going to say. Not that that's true, because -- so far as I know -- I haven't gotten any cell phone messages telling me that. But that's always a possibility. I think the writers do such a good job of keeping these doors open." Dalton went on to say, speculatively, that Radcliffe's technology could be used for good or for evil, depending on who gets their hands on it - whether the LMD tech goes to S.H.I.E.L.D. or to Hydra. Additionally, Dalton spoke about the power of the viewers using hashtags to make their feelings known about the characters, and urged his fans to use #HiveSurvives. While speaking to Zap2it, Dalton spoke more at length about the power of fans, especially when their efforts are organized through a single hashtag, such as they were following the events of The Avengers. Dalton referenced the #CoulsonLives movement to which "Marvel listened, and that's why we have a TV show." Of course, Dalton makes a point that Agents of S.H.I.E.L.D. 's roots in the world of comic books has allowed for many otherwise unbelievable events to occur on the show. Both Coulson and Ward were brought back from death, though in very different ways, and perhaps a Life-Model Decoy would be a means of bringing Ward back in an entirely new fashion. But, that being said, Dalton himself indicates that he hasn't received word of such a storyline being pursued in season 4 of Agents of S.H.I.E.L.D. Additionally, executive producers Jed Whedon and Maurissa Tancharoen recently spoke about the conclusion of Dalton's character arc, saying "we closed that chapter" on Ward and Hive so that they could explore a "very new chapter." So, while it may be possible for Agents of S.H.I.E.L.D. to revive some version of Ward in season 4, it may not be in the creative team's plans for next year. However, where exactly Agents of S.H.I.E.L.D. goes next, and whether that includes Dalton, remains to be seen when the show returns. Agents of S.H.I.E.L.D. season 4 will air this fall on ABC.